RUSH: Some of you probably know because it happened to you. We had three shutdowns of our website yesterday, and one of them was right as the program was beginning. Now, when this happens, the technical people always have their educated guesses, and the consensus guess was we were being victimized by a Direct Denial-of-Service attack by a bunch of bots, a bunch of phonies trying to log into the program — the website — at the show start. It turned out that’s not what it was. There were two additional shutdowns yesterday — 4:30 p.m. Eastern was the next one. They’re probably cringing that I’m giving this much detail, but there’s a reason, so hang on. It’s not… There was no DDoS going on. This was simply massive numbers of people logging into the website and using the app. We have a server farm. We can account… We’re very proud of the fact that this kind of mad dash to log in will not bring down RushLimbaugh.com. We had to add to our server farm overnight to be able to handle this massive load, which has begun to happen. 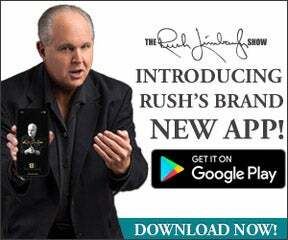 We are in our 30th year here, folks, and we have reached an all-time record high of subscribers to RushLimbaugh.com. And you would think that would have happened shortly after we introduced it, that it would peak and then either hold on or grow a little bit/shrink a little bit. But we are growing. We are expanding at a rate unlike we’ve seen since the website was introduced, and that’s why there have been some delays in getting in. So it’s not your fault. Unlike other companies, we do not blame the user. (interruption) Hang on a minute. I’m getting somebody reacting here to… (interruption) Yep! Running smooth today. Everything’s fine today because we ramped up the server farm. You did? (chuckling) Okay, good. But it just kept growing and growing. Everyone expected to stop at 250, then 300. It just kept going all the way up. We were at 500 stations before Bill Clinton was inaugurated. Anyway, this is kind of like that — the number of subscribers that we are adding, the number of people that are using our RushLimbaugh.com app — and people are now “relearning,” I guess, is the word — reacquainting themselves with — our podcast. We were, as we are on everything, on the cutting edge. 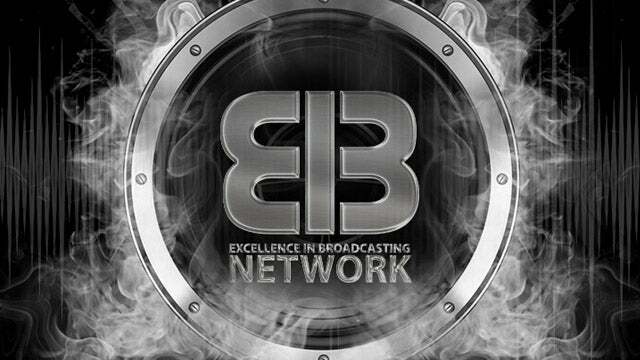 We were the first to podcast this program when podcasts were first popularized on iTunes by Steve Jobs. He put my name… You know, when they do a keynote address, they mention some names or companies that are associated with whatever feature. They didn’t mention my name or the program, but it was there. Everybody could read it behind him, and Apple got grief, of course, for doing it. But the point is, everybody thinks, “Podcasts are so cool, man! They’re really cool. They’re really neat.” And we were on the cutting edge of podcasting this program before anybody knew what podcasts really were. I mean, you don’t want people to not be able to log in. You don’t want to get a message that there’s an error or something like that. The website not being able to handle the traffic, to me, is rank amateur. So we added to our capacity last night, and everything is running smoothly. And the app is just growing by leaps and bounds and people using it. And, remember, you don’t have to pay anything to use the app, and you don’t have to pay anything to log into the website. There’s a free side to both. Oh, you want to hear something else? We send out notifications when the program begins to people who want them. Like any app, if you want to be notified of things that are related to the app you can say, yeah, or you can opt out. Now, notifications sometimes are appreciated. Other times, they just irritate people. ‘Cause your phone rings or buzzes or chirps and you look and it’s a notification from something, and really you know it’s coming. You don’t care, whatever. Do you know what the average number of — the percentage of — notifications sent which are actually clicked on and opened? What do you think the percentage is? Under 1%. It doesn’t mean people are ignoring them. It’s just the notifications that are actually clicked on and used is less than 1%. We are at between 4 and 5%. You can track this data. The reason this has come up is because we’re already getting, shall we say, customer service comments. “You know, I don’t need to be told every day that the show starts at noon. I kind of know that.” In the comments. “You don’t need to harass me with a notification every day.” So, we’re backing off. We control when the notifications go out so we’re backing off because we don’t want to irritate people. But you know what we’re gonna start doing? And I’m telling you this to put pressure on the developers. You know, I tell ’em what I want, and they say, “Snap to. Mr. Limbaugh, you got it.” And then two weeks later ask for status. “Man, we’re working on it, it’s gonna be great,” but I still haven’t seen anything. The next thing we’re gonna add notifications to is when transcripts of a segment are ready, and that will affect everybody. Not just subscribers, but everybody on the free side. So, if you’re listening — say this monologue happens to intrigue you, you’re gonna get a notification, if you want it, when it’s ready, when it’s up and running and posted on the app or the website for every transcript. It’s not happening now. There are a whole bunch of things we’re working on, upgrades and updates to both the site and the app. But I had to mention the reason for the inability if you were unable to log in or if you were logged in and got shut down. It was simply there was more traffic than we could handle.